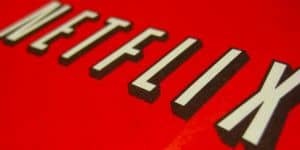 Netflix Plans Adult Choose-Your-Own-Adventure Series | Nerd Much? It's your story. They're just producing it. Netflix recently began experimenting with a “choose-your-own-adventure” style of programming for kids recently. They’ve published two such offerings: Puss in Book: Trapped in an Epic Tale and Buddy Thunderstruck: The Maybe Pile. Apparently the duo were a success endeavor for the streaming behemoth. Netflix has decided that more of the choose-your-own-adventure features should be developed. But this time for adults. Ted Sarandos, Chief Content Officer for Netflix, recently spoke with Bloomberg and confirmed the company’s interest in expanding their use of the genre. With the success of the kids choose-your-own-adventure experiment, Sarandos decided an experimental version for adults should be tested as well. In theory, viewers would be watching the program and following along via a companion app. Once the narrative hits a decisive point, the viewer then chooses which direction to take the story. It leads to not only interactivity between the program and the viewer, but replayability as the viewer can choose to rewatch the story numerous times with numerous variations playing out. HBO has been toying with a similar strategy with their upcoming mystery series, Mosaic. It’s an experiment utilizing the choose-your-own-adventure genre with a lot of big names behind it. However, Mosaic’s end story won’t change based upon the choices of the viewer. The upcoming six episode series is being directed by Steven Soderbergh. It stars Sharon Stone, Garrett Hedlund, Frederick Weller amongst others. Instead of modifying the plot of the feature, viewers instead choose in which order to ingest the content. Using HBO’s companion app, you’ll decide whose perspective you’ll take in next. This then provides new details from different points of view. Also via the app is the ability to sleuth through background documents, emails, news clippings, voice mails, police reports and such to add further depth to the story’s mystery. Mosaic premieres in full for HBO in January. Netflix hasn’t divulged when we can expect to start streaming their adult take on the genre as of yet.